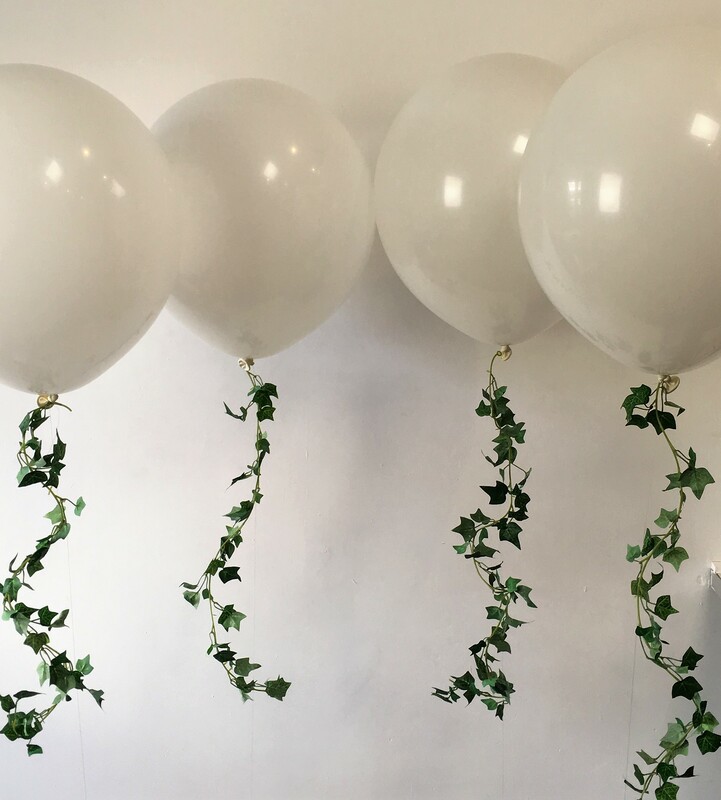 With a variety of different designs and colours to choose from, our table arrangements are perfect for decorating anything from large corporate events to children’s birthday parties! You can’t go wrong with a classic! 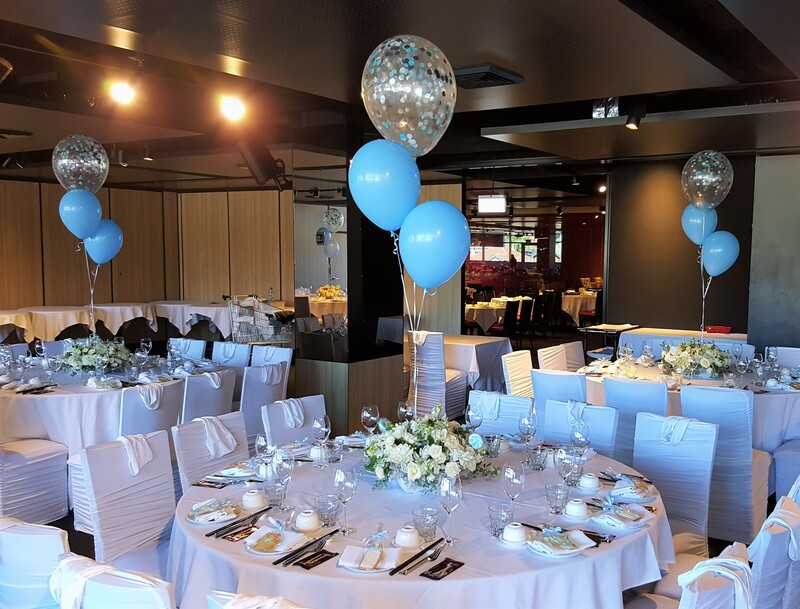 Helium table arrangements are an easy way to bring colour and excitement to a space. Sitting just above eye level, they add height and drama to the room without disrupting conversation. 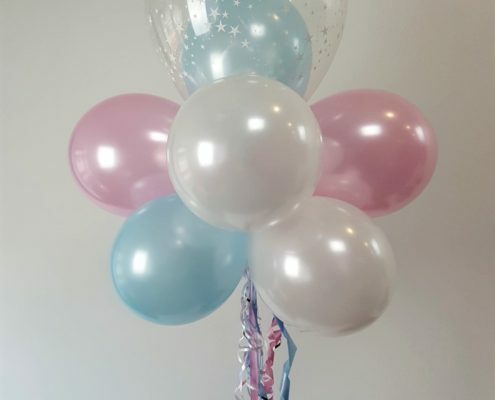 The most popular of our table centres is a 5 Balloon Arrangement. Arranged in layers, it is a clean and simple design that fills the space without overpowering the tables. 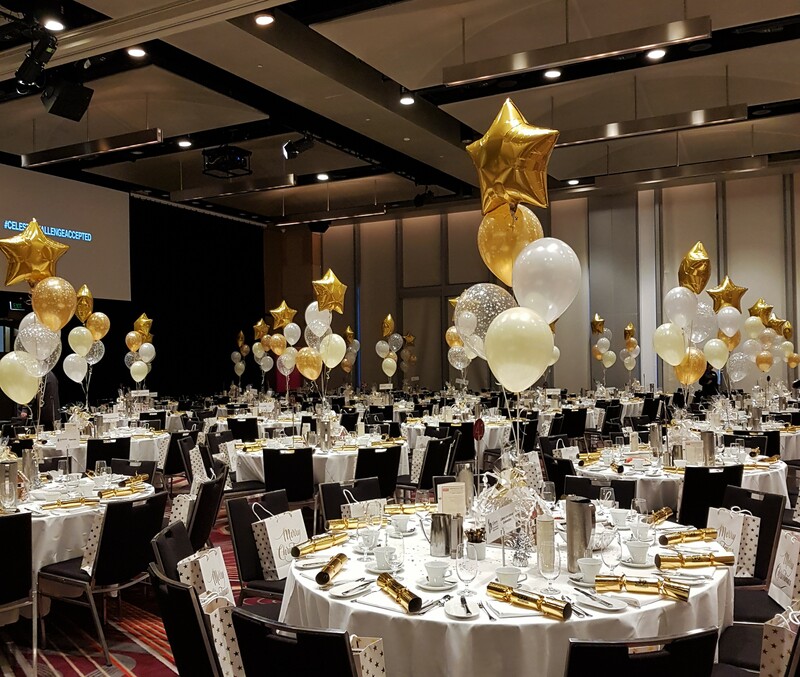 You can customise the arrangement through your choice of latex colours, table weights and pre-printed/custom printed balloons. 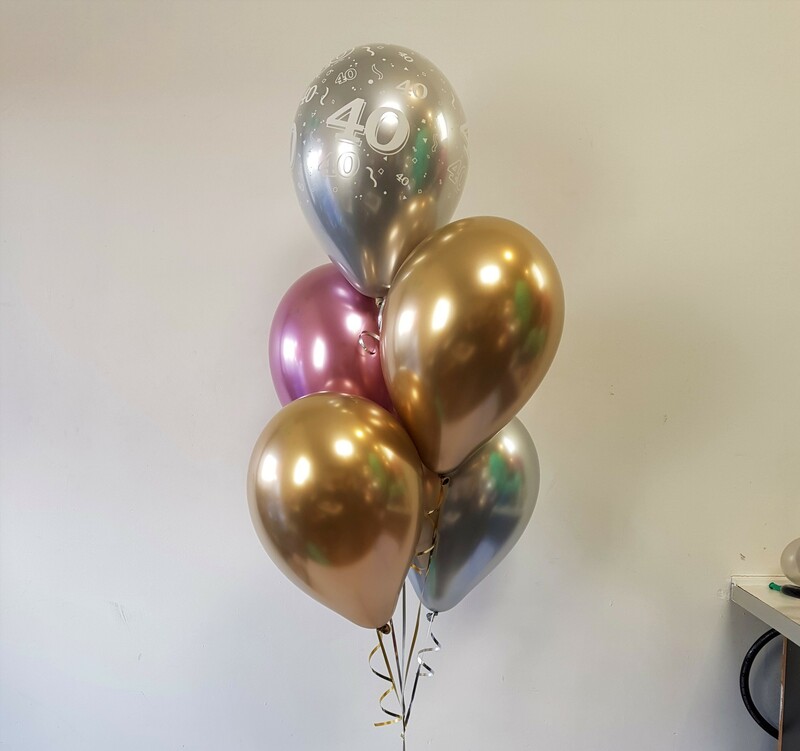 Below is an example of our Age Table arrangement in the colours Chrome Gold, Chrome Mauve and Chrome Silver. 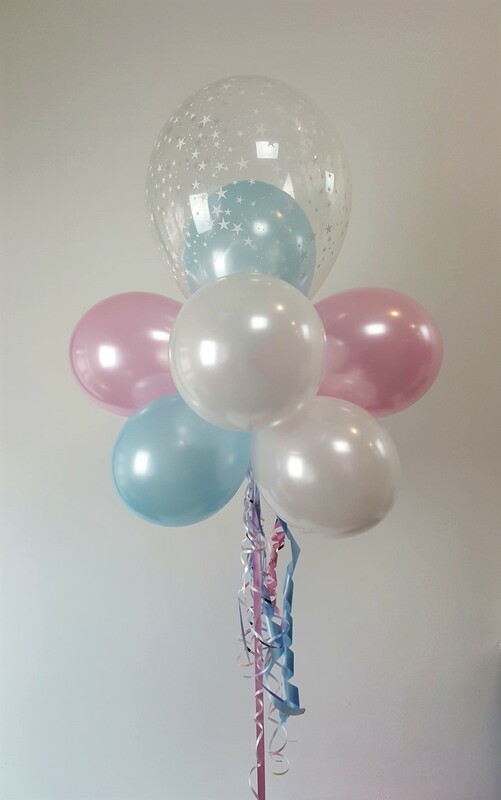 Another popular arrangement is a 5 Balloon arrangement with an 18″ Feature Foil, as pictured below. Go for a classic star, circle or heart shape for a classic design. 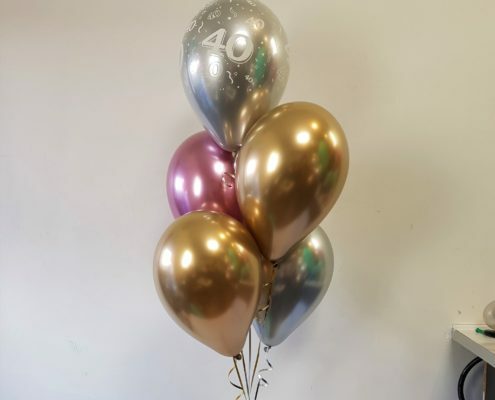 Or or choose from a variety of licensed and themed foils to incorporate your party theme. 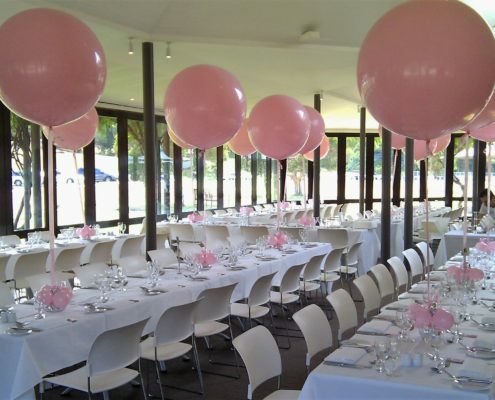 If you’re wanting something a little simple but just as effective the 3 balloon table arrangement is perfect for you. 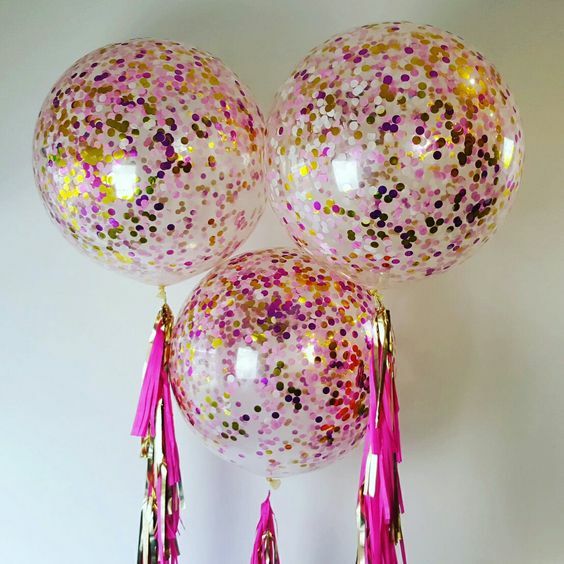 With fewer balloons, it does a great job at bringing colour and excitement to the space without being too distracting and cluttered. 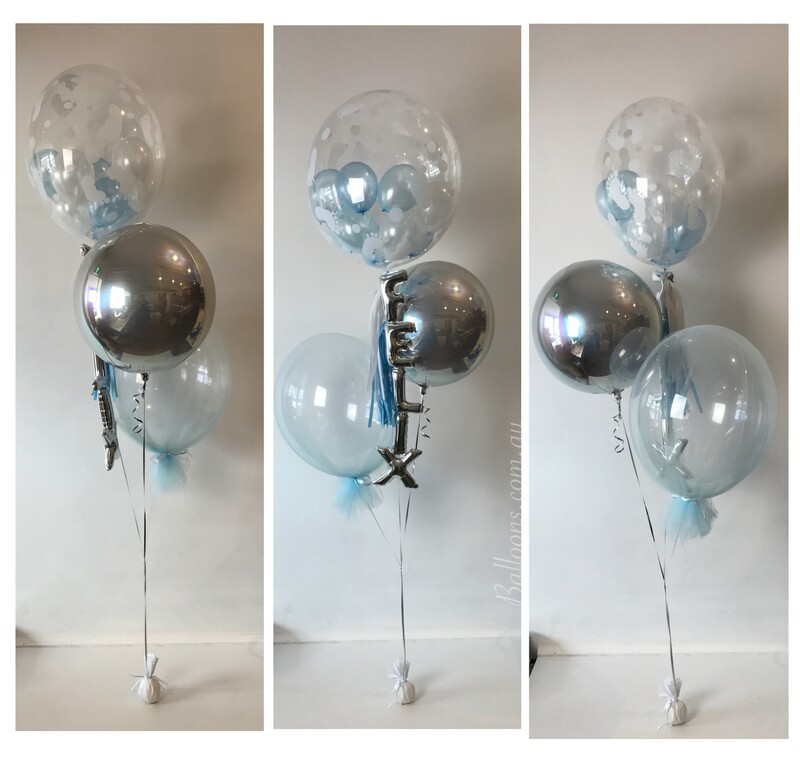 Below is an example of a 3 balloon arrangement with a 16″ confetti on top. Mix up the sizes of the balloons for a more interesting effect! 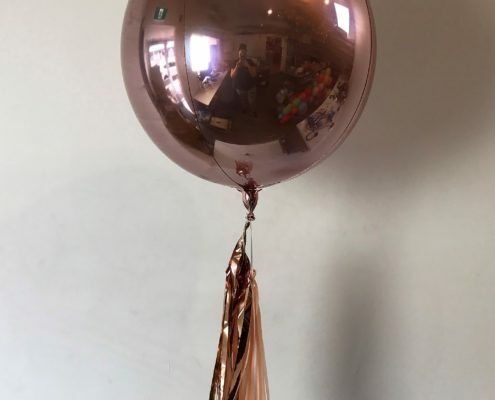 For a more dramatic effect, go for a 3ft balloon! Big and bold, they are sure to be a feature within the room! Circle Tables: one arrangement in the middle. 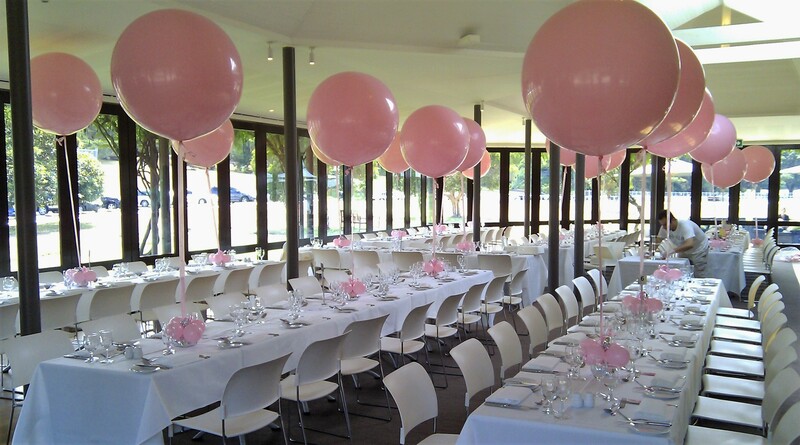 Long tables: one arrangement every 3/4 people down (e.g 2/3 arrangements for a table of 16). 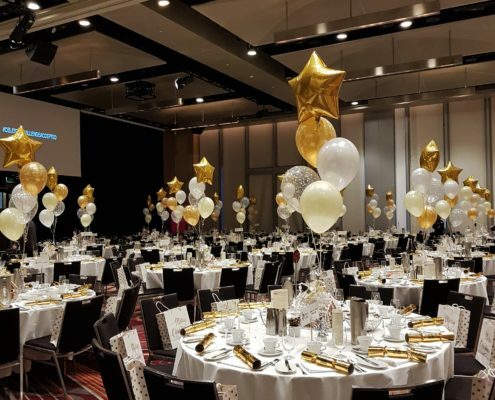 There are also a number of deluxe table arrangements to choose from! 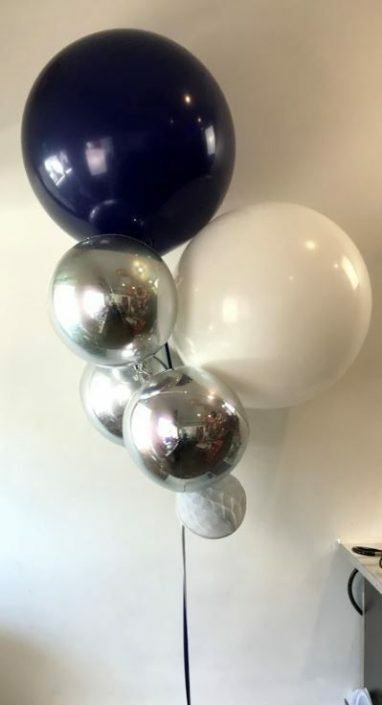 Being a little more stylish and classy than the standard table arrangements, these balloons are great for cocktail parties or cake tables. 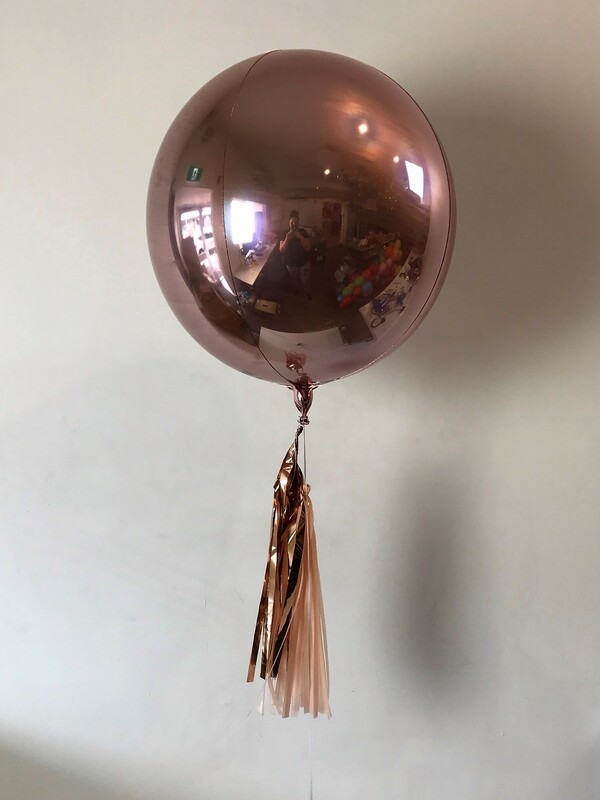 Below is our Fantasy tree arrangement, our Rose gold 20″ orb with tassels, 17″ latex with vines and a 24″ stuffed Deco bubble. 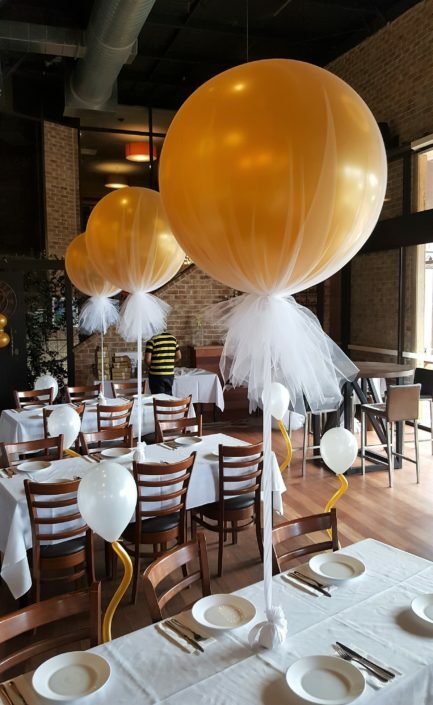 Order your deluxe helium table arrangements here to make a statement at your next event! Confetti, tulle and tassels are a simple yet elegant way to add some style and grace to your table arrangements! 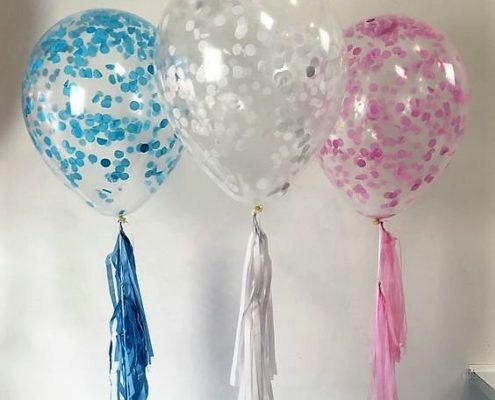 Our 16″ confetti balloons are one of the most popular products we sell! 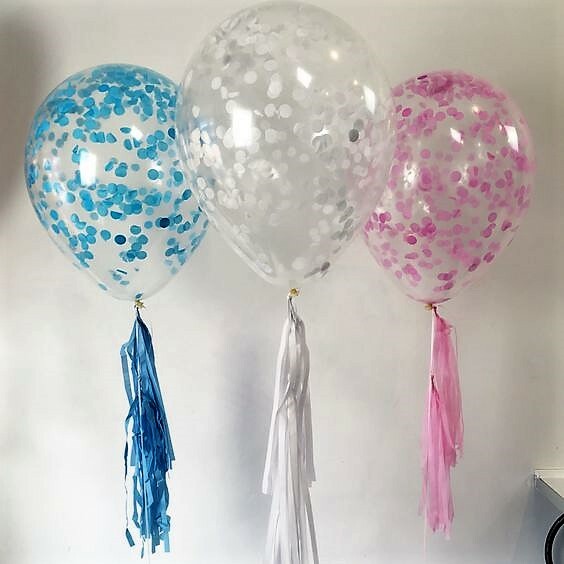 As you are able to select the confetti colours, they work perfectly for any event. 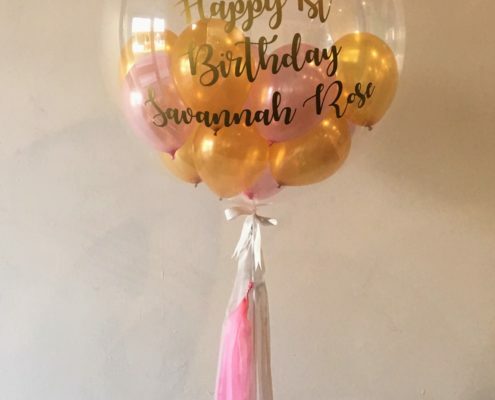 Add a tassel onto them (or even a plain latex!) to bulk it out and add a little more pizzazz! 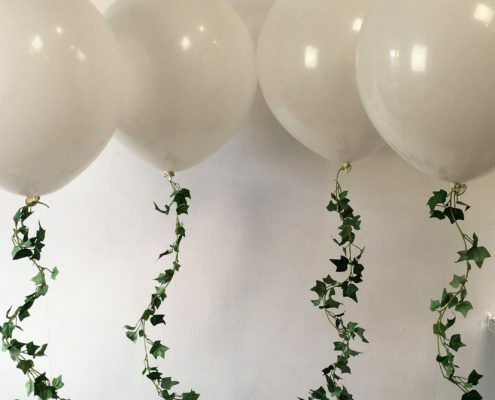 Want something more specific for your event? 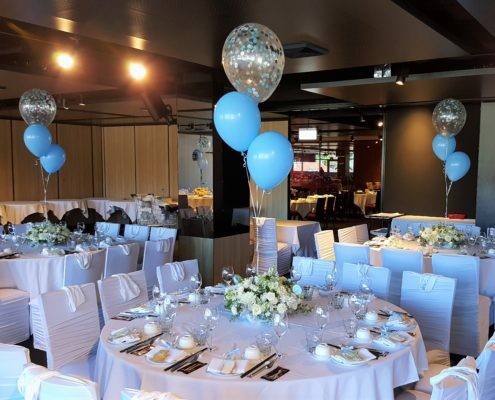 We also make customised table arrangements that are sure to make your special day feel even more unique! 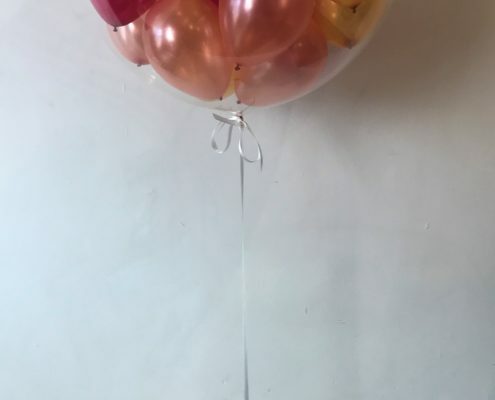 These balloons are great for cake tables or as table centerpieces. 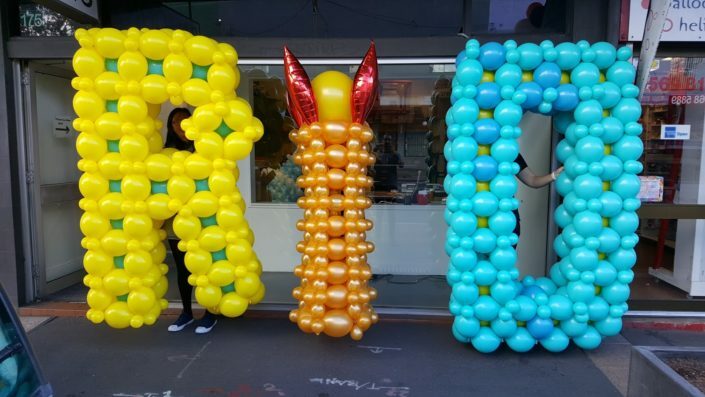 Either spell out a word with our 7″ microloon letters or write a message to someone special with our vinyl printing! 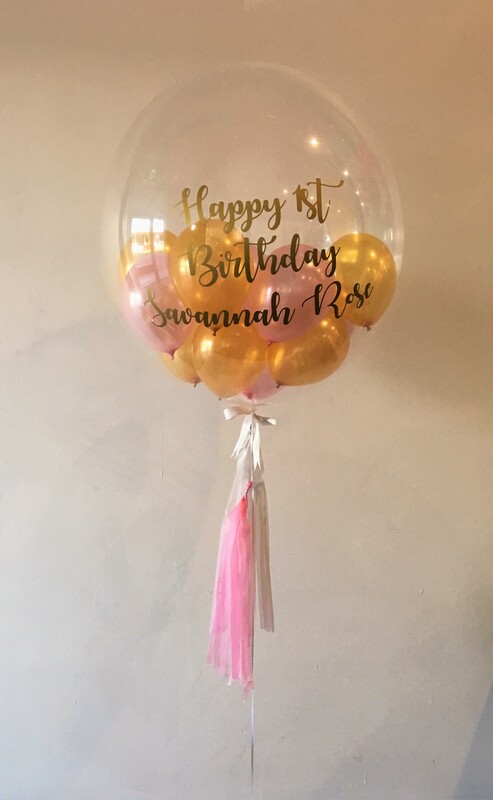 Send us an email if you want your very own customised balloon! If for any reason this product is not suitable for your space, there are other options available! 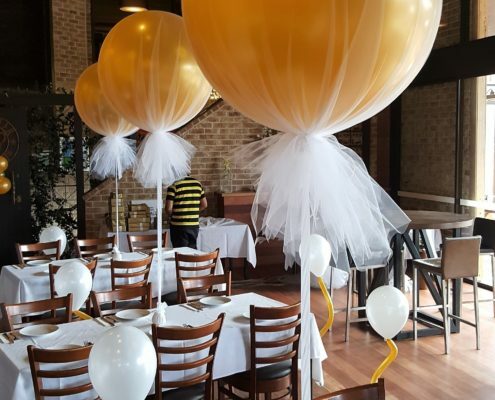 Browse through our Air filled arrangements for alternatives. 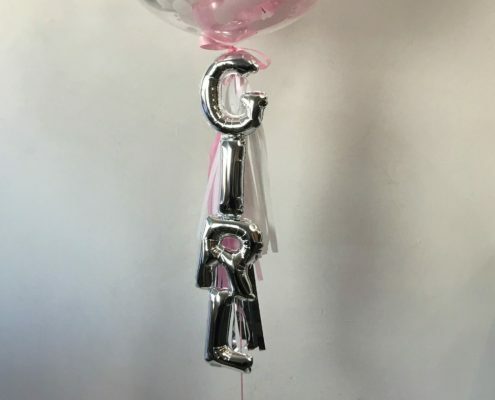 Organza and Tulle and Hot Air… Oh My!